Our resident Abby graduated from Immaculata High School in 1935. 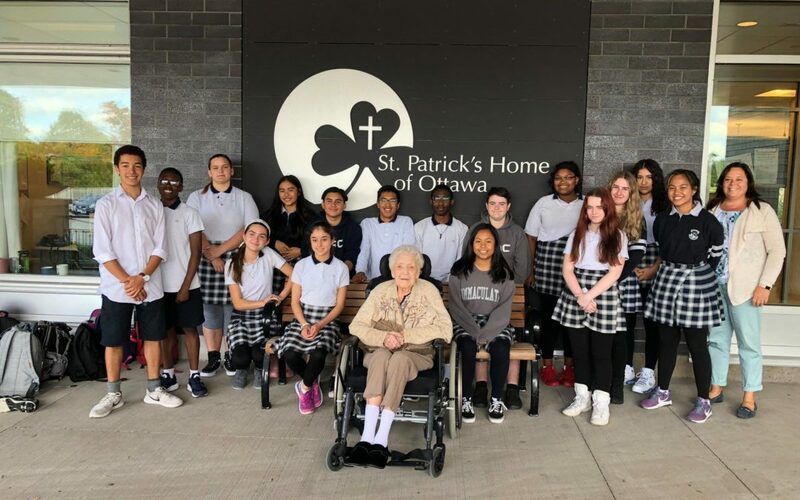 Almost 83 years later, we welcomed this group of Immaculata students into our home as they began their volunteer placement here at St. Pat’s. 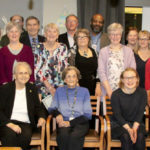 With Immaculata’s 90th-anniversary celebrations taking place on Friday, September 28, 2018, it is amazing to look at this photo and see the different generations of past and present Immaculata students together.